There can be no doubt that the number of literary post-texts has greatly increased in recent years, even to the extent of an inflation as some perhaps would say. The following bibliography is evidence of this, although it lists the works produced 'post to' one author only, Jane Austen. A prominent type of post-text is the sequel. Sequels are highly problematic and therefore particularly interesting. Their discussion is well-suited, I think, as a theoretical introduction to the bibliography. A sequel is the continuation of a literary work in the same genre; of a novel by a novel, as in the case of Henry James's The Turn of the Screw and Hilary Bailey's Miles and Flora; of a film by a film, as in the case of James Whale's Frankenstein and his own Bride of Frankenstein; of a play by a play, as in the case of Christopher Marlowe's Tamburlaine and his own Tamburlaine, Part II. A sequel uses the same or some of the same characters of the original and continues the action of the original into the future; sometimes it views the same action from a different perspective. A good example from the corpus of Austen sequels would be D. A. Bonavia-Hunt's Pemberley Shades, which continues the story of Elizabeth Bennet (and Mr Darcy) from Pride and Prejudice. Most of the characters and incidents are well-known from the original, but there are a few additions and new directions, most notably a new character, a certain Stephen Acworth (in reality he is someone else), who brings about a first slight estrangement between the happily married couple by making Elizabeth the accomplice of his secret and, of course hopeless, passion for her. The demarcation line between sequels and non-sequels is sometimes difficult to draw. Margaret Drabble's "The Dower House at Kellynch" is a case in point. Some of the characters are descendants of the Elliots from Persuasion, but from the point of view of action and psychology there is no connexion to that novel. It is really only the location Kellynch Hall that links the story with Austen's work. A completion is the finishing off of a fragment. An example would be Joan Aiken's Emma Watson, a completion of Jane Austen's unfinished The Watsons. A pastiche is an imitation of the style of an author,3 without being a sequel to, or a completion of, any specific original. An example would be Peter Ackroyd's The Last Testament of Oscar Wilde or Marianne Luban's "The Jew of Bath".4 A related term is parody where the imitation, often as caricature, is intended to ridicule the original. (In contemporary literature, there are more and more borderline cases, mixing the seriousness of pastiche and the ridicule of parody in mere playfulness.) If one wants to differentiate travesty from parody, then a parody keeps the formal structures of the original but changes its contents, as in the case of Robert Neumann's Mit fremden Federn, whereas a travesty keeps the contents and changes style and form, as in the case of Miguel de Cervantes's Don Quixote. Finally, a special case must be mentioned, a literary text in which an author appears, written in the style of this author. I call such texts fictionalizations (of the author's life). Here, the creator of a novel or play becomes, as it were, the creation of a novel or play, a case of causa sui. An example is Barbara Ker Wilson's Jane Austen in Australia. Again, there are borderline cases - bordering on non-post-texts - where the post-text is not written in the style but only in the spirit of the author of the reference work, as in the case of Lisa Kirazian's The Visitor, a play in which Jane Austen appears to a student writing a thesis on the great novelist. I take the opportunity to say that all these terminological differentiations are open to exceptions and borderline problems. They do not try to mirror in language god-given differences of reality as biological taxonomy does. Types of texts are not 'related' the way cats and dogs are. Much of the talk here is metaphorical or metonymical, and this should always be kept in mind, lest one is carried away by the logic of one's metaphors and metonymies. Post-texts are characterized by their relation to other texts. That is what makes them post-texts. From this relation certain problems arise, sometimes problems of how to translate one genre into another, sometimes problems of how to negotiate between the past and the present. 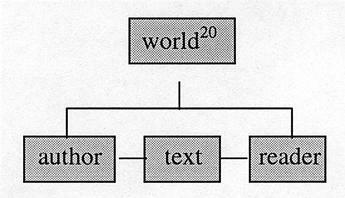 The first problem is situated between original and post-text, the latter problem is situated within the post-text and concerns the relation of form and content in the text. Fictionalizations, sequels and completions - increasingly in this order - face an intrinsic dilemma here. The characters of the original and the world in which they move are of necessity historical; if the author of the post-text uses the historical mode of narrative and stylistic devices of the original, these are in harmony with the content of the sequel but aesthetically epigonal; if the author of the post-text uses contemporary modes of narrative and stylistic devices, these are aesthetically up-to-date but stand in contrast to the original they follow and the world they portray and create. True, this is not an innate handicap of sequels. During the 18th and 19th centuries, sequels usually followed the original within a short time and thus shared its world of presuppositions, rules and conventions, convictions, means of expression etc.10 But in the 20th century, when completions and sequels became really popular, this is no longer so.11 The originals usually belong to a distinctly earlier period, probably due to reasons of copyright but perhaps also due to a change in function: completions and sequels now often cater to the temptations of nostalgia and escapism in the general public. De facto, then, today's sequels are confronted with the problem of how to relate past and present. Adaptations face a related problem, namely how to translate the genre-specific means of expression of the original into those of the post-text. The more a novel is a novel, the more a film is a film, the more difficult the translation. One can perhaps say that a good film adaptation of a novel is one where the equivalent filmic means of expression have been found for the novelistic means of expression in the original novel. But often the word equivalence is just a manner of speaking. In the case of, for instance, Richard Strauss's op. 23 we would not be able to guess which work the tone poem is meant to be 'equivalent' to, if we did not know it from its title (Macbeth). However, this problem is situated between original and adaptation and does not necessarily taint the post-text's integrity. My Fair Lady by Alan Jay Lerner and Frederick Loewe may not be an ideal adaptation of George Bernard Shaw's Pygmalion, but it is excellent in its own right as a musical. In contrast to this, the problem with sequels and completions is home-made or innate and regards their artistic unity. With the remaining types of post-texts, the situation concerning form and content is characteristically different. Pastiches are by definition an exercise in imitation and therefore immune to the reproach of being epigonal. One can only question the genre as such. Parodies and travesties thrive on discrepancies and differences; they are their very raison d'être and are meant to make us aware of the epigonality of the continued use of historical aesthetic forms when the world has moved on. Finally, counterfeits are unproblematical in this connexion because they are a very loose kind of adaptation, where form and content can both be freely updated. Eugene O'Neill's Mourning Becomes Electra, for instance, adapts The Oresteia by Aeschylus in so many respects - time, place, characters and their psychology, dialogue, understanding of guilt - that it forms a new whole. Problems of discrepancy do, therefore, not arise in counterfeits, at least not of necessity, but only as the result of artistic mismanagement. Emma Tennant's Elinor and Marianne takes both its title and its epistolary form from Jane Austen's first draft of Sense and Sensibility. It purports to inform us about what happened to the main characters in the months following the marriage of Marianne Dashwood and Colonel Brandon with which Jane Austen's narrative ended. It is the year 1812 (presupposing that the action of the original took place in the years immediately preceding its date of publication, 1811). John Willoughby cannot forget Marianne and returns to his estate near Barton Cottage. First he seduces Margaret, now 15, who resembles her older sister, but then he turns his attentions once more to Marianne, who, brokenhearted because of a misunderstanding with her husband, again succumbs to his charm. Even though she is pregnant, Marianne agrees to elope with Willoughby to the United States to form a "pantisocratic" community. In the spirit of free love Willoughby hopes to have both sisters. Only when Marianne realizes this new instance of Willoughby's turpitude does she renounce her plans for a life with him and returns into the forgiving arms of Colonel Brandon. But the other characters also have to endure their share of tribulations, most notably perhaps the bankrupt Robert Ferrars, who is cooked and eaten up on a tour of Africa. The silliness of the plot has its counterpart in the insignificance of the style. Elinor and Marianne teaches us, if we hadn't guessed it already, how wise it was of Jane Austen to change the mode of presentation of her novel in the course of revision, namely to abandon the epistolary form and to introduce a witty and ironic narrative voice. Sometimes Tennant's sequel is so absurd that one is unable to suspend disbelief. Could it be a parody? Alas, no. In what is the main intrigue of the novel, Margaret has to decide between two suitors, Lieutenant William du Plessy and George Osborne. Since du Plessy seems to be on intimate terms with an unknown lady, Margaret accepts Mr Osborne, of the Ferrars family. This young gentleman, however, is a fortune-hunter and a fraud, as du Plessy finds out at the very last moment. He then proposes to Margaret himself and is accepted, and all will be well. In terms of chronology The Third Sister is a continuation, in terms of contents it is a repetition of Sense and Sensibility. Margaret resembles Marianne (and to a lesser degree Elizabeth Bennet from Pride and Prejudice). Osborne resembles Willoughy (and to a lesser degree Wickham). Lieutenant du Plessy resembles Colonel Brandon (and to a lesser degree Mr Darcy). But all - both characters and actions - is a grade coarser, and, similarly, style and narrative attitude are unpropitious and often quite simple-minded. The Third Sister is Sense and Sensiblity all over again, only much less elegant and less moving. One is tempted to apply a famous dictum of Karl Marx',17 adjusting it slightly to Austen's comic vision of life: All historical events happen twice, the first time as comedy, the second time as farce. Eliza's Daughter by Joan Aiken is the first-person narrative of Eliza Williams, Willoughby's natural daughter and Colonel Brandon's ward. Eliza, born in 1793,18 grows up in Somerset. In 1797, she makes the acquaintance of two gentlemen whom the reader understands to be William Wordsworth and Samuel Taylor Coleridge. Her later adventures result from Eliza's desire to trace her parents, particularly her faithless father, Willoughby. The novel's action closes in 1814, with Eliza pregnant and inheriting Delaford, where she will live with Lady Hariot, who took care of Eliza when she was a young orphan. To my mind, the novel is a considerable success. By introducing a first-person narrator with a distinct voice, Aiken was clever enough to avoid competition with Austen's inimitable elegance of style, with the wit and irony of her third-person narrator. The same is true, mutatis mutandis, of the action: it is closely connected with the original but clearly no reduplication. Its main theme, worlds apart from Sense and Sensibility, is a pervading sense of loss and uprootedness. Eliza's Daughter takes its point of departure and most of its characters from Sense and Sensibility, but it is not written in the spirit of Jane Austen but in that of Charlotte Brontë's Jane Eyre, with a few modern, even feminist, touches. Like Jane Eyre, the narrator-heroine is an orphan, with psychic faculties, in search of security. But where Jane Eyre yearned for a male companion to give and to receive emotional support, Eliza Williams is a convinced single parent who will thus transmit her indecision between feelings of dislodgement and self-reliance to her child, another fatherless girl. Perhaps the novel is overburdened with incident and intrigue and thus not a novel of manners as the original but rather a novel of adventure, and perhaps it is written against the grain of Sense and Sensibility, in particular against the tenor of the last few paragraphs in that the four main characters have all undergone a material change for the worse: Marianne has become cold and mean-spirited, Elinor has become emotionally impoverished in her marriage, Brandon acts irresponsibly, and Edward has developed into a rather petty and inconsiderate husband. But that may just be the lesson to learn: obviously a sequel cannot be too far removed from the original or else it loses its raison d'être as continuation; but it also should not be too close to the original or else it will be epigonal; somewhere in the middle seems to be the right place, and to find this "somewhere" is the secret of a good sequel-writer. Given the built-in aesthetic problems of sequels, it is all the more surprising that they should be the most popular post-texts of recent years, at least in the English-speaking world. Well, some of the reasons are obvious enough and have often been stated. There is money to be made and attention to be attracted by tacking one's own modest artistic efforts onto a famous predecessor. And of course, riding the wave of women's literature is another aspect - most of the originals continued are by women authors, also most of the completions and sequels, and most of the readers, presumably, too. But there is a better justification of the genre. Completions and sequels can be understood as extrapolations. Just as science fiction at its best projects current trends in science, technology and politics into the future, thereby distinguishing itself from gratuitous fantasy literature, so a good sequel takes up the potential left over at the end of a novel and extrapolates from it plausible future developments. Thus, a convincing sequel can be understood as a valid commentary on the original novel, primary secondary literature as it were. With this confusion of the logical levels of object and commentary, of the observed and the observer, we are close to what I take to be the main reason for the present fashion of continuations and the interest they arouse among literary critics: the contemporary intellectual climate. Formerly, it was considered bad taste and a misunderstanding of the ontological status of literature, if one wanted to know whether Scarlett O'Hara would manage to win Rhett Butler back or how many children Lady Macbeth had. That has changed, due to certain contemporary tendencies in philosophy (or should one rather say: cultural criticism?) and literature. In both 'postmodern' literature and 'post-structuralist' philosophy, we find a predilection for solipsism, meta-fiction and intertextual play, for the blurring of the categories of life and art, of literature and literary criticism, for paradox. Personally, I am quite critical of most of these fashionable ideas as philosophy but all in favour of them in literature. The genre sequel indeed raises interesting questions that deserve close analysis. These topical poetological problems I will now discuss briefly. Most literary-theoretical approaches have emphasized, often even taken for absolute, one element or one relation between two elements. The romantics, for instance, with their emphasis on inspiration and genius, were chiefly interested in the relation between work and author; Marxists, with their "Widerspiegelungsästhetik" (aesthetics of reflection), in the relation between work and world; the New Critics, with their emphasis on close reading, in the work of art alone; and the Konstanz School of reception theory, in the relation between work and reader. These approaches have obvious affinities to certain literary traditions. The realistic novel of the 19th century, for instance, is closely connected with the Marxist aesthetics of reflection; in fact, the theory was developed with the realistic novel in mind. Modernist poetry, on the other hand, as a self-contained system of metaphors, a closed linguistic system, is closely related with the New Critics, some of whom were poets themselves. And post-modern meta-fiction has intimate affinities to certain extreme forms of reception theory in which the reader is supposed to create the (meaning of the) text in the act of 'reading' it; if one assumes that the act of observation generates the objects of observation, then 'works' do not exist but are only constructs of our 'reading', just as meta-fiction does not reflect the world but reflects instead the process of its own self-creation. As a decided opponent to the excessive claims of the various fashionable constructivisms, I would like to say that one can appreciate Samuel Beckett's meta-fiction with its tinge of solipsism and yet reject solipsism as philosophy, just as one can love Dante without believing in hell and all that. The development of literature, especially fiction, in Western Europe and North America over the last one hundred years or so can be characterized by attempts to stretch, or dissolve, the category work by including the elements author, world or reader in the element work. Among the writers who tried to bring the author into his own work, Samuel Beckett was probably the most prominent. In view of Beckett's fame and the almost inflationary amount of meta-fiction influenced by him, I can be brief here. His trilogy of novels - Molloy (1947), Malone meurt (1948) and L'Innommable (1948) - is organized in such a way as if the texts had generated themselves. The stress here is on "as if" because Beckett was intelligent enough to know that this organization principle does not really work21 and, therefore, did not attach any truth value to his works. Many postmodern writers and post-structuralist theorists, however, take all this very seriously. I will come to the question in a moment. Other writers have tried to abolish the boundary between text and context or, in more conventional terminology, between art and life. Thus, Truman Capote's In Cold Blood has been called faction because it is a hybrid of fact and fiction. More recently, new forms of the 'meta-historical' novel have coincided with Hayden White's contention that historians work with fictional devices just as novelists do, so that really there is no difference between the two professions. In the fine arts, Andy Warhol and others come to mind, who tried to break down the barriers between the work of art and the world. Again, I will come back to this misunderstanding in a moment. Lastly, the barrier between the categories work and reader has been called into question. Artists have tried to include the reader into the work, again coinciding with certain postmodern intellectual developments, namely the many strands of subjectivism and constructivism in which the perceiving subject is taken to construct the object perceived. Taking an example from the sphere of music, I would like to emphasize once more that I find the result of such attempts most impressive although the goal is not reached, cannot be reached. (One can appreciate Dante's terza rima without believing in the Trinity, even less need one believe in the Trinity because of Dante's terza rima.) Hans Zender's Schuberts Winterreise (1993) leaves the original music for the human voice (almost) intact but changes Schubert's piano accompaniment into an orchestral accompaniment into which the musical tradition stemming from Schubert, Schubert's reception as it were, has been assimilated. By absorbing Wagner, Bruckner, and especially Mahler and Berg into Schubert's music, Zender wants to indicate that we cannot hear Die Winterreise today as Schubert's contemporaries did. By modernizing Schubert, Zender wants us to hear him new, just as he was new in 1828. There is no reality an und für sich, no naked truth. The meaning of a text, indeed the text itself is constructed by the reader. If a horse needs a rider to be governed, why not represent their unity through portraying them as a centaur rather than as two separate entities? The portrayal of horse and rider as centaur is a triumph of art's analogy principle; structuralists speak of "iconicity", Coleridge spoke of the "fusion of opposites".22 But of course a centaur is 'only' a symbol and does not exist in reality. A sentence cannot contain its own truth value. A statement cannot comment on itself, that is, cannot control its own reception. Nothing can contain itself. The author of a novel cannot create himself. A text cannot create itself. A character in a novel cannot undo itself. Any textbook of logic can teach this, but attempts to the contrary can result in highly interesting, even moving, works of art. Interesting - and funny - in the case of Flann O'Brien's The Third Policeman or At Swim-Two-Birds; moving in the case of Samuel Beckett, who, however, understood the logical impossibility of his literary programme and, therefore, organized his mature works as 'failures'. The model shows that of course the royalties for what purports to be Mahler's or Berg's contribution to Schuberts Winterreise go to Herr Zender. The above terminology and analytical differentiations will now be used to describe and understand the genre sequel. This model is crude and reductionist because Joan Aiken's novel does not only refer to Sense and Sensibility but to other novels and to the life-world around us, but it shows the main difference between an original and a sequel quite clearly: what was Regency England for Jane Austen is Sense and Sensibility for Joan Aiken. Of course, "Regency England" includes genre conventions, Jane Austen's knowledge of other novels etc., but nevertheless it is chiefly the world around her to which Jane Austen's novel refers; by contrast, the world is replaced by a novel in Joan Aiken's sequel. Sequels, then, are a kind of commentary rather than a text, a special case of meta-fiction. However, different from Beckett's type of meta-fiction or Zender's kind of meta-music, the sequels registered in this bibliography do not show that they are meta-fiction. In their structural and aesthetic organization they appear as 'straight' fiction. Its nature seems to make the sequel the epitome of postmodernism, but its bond to the past ties it to realism. The result is a contradiction in terms, neither fish nor fowl. Given the current predominance of post-structuralism in literary theory and criticism, many readers, I suppose, will have expected to find sequels discussed in terms of "intertextuality". The reason why I did not do so is that I am opposed to the basic assumptions of poststructuralism, of which the theory of intertextuality is of course a central part. A discussion of this question, however, touches upon interesting points of the theory of the sequel. Works of art often refer to previous works of art, be it through quotations and allusions or through subject matter, names etc. This was dealt with by the old sources-and-analogues school. In the nineteen-sixties, Julia Kristeva, taking up Mikhail Bakhtin's idea of the "dialogue" between texts, coined the term "intertextuality" for her greatly extended concept of relations between texts. The main assumption of the theory of intertextuality is that texts are said to react to one another, although of course it is the authors who react to one another via texts. The metonymy - text for text-producer - poses no problems as long as one remembers that it is a metonymy. But since post-structuralists do not accept the distinction between literal and metaphorical language anyway, they often let themselves be carried away by their metaphors and metonymies. A second objection is this. 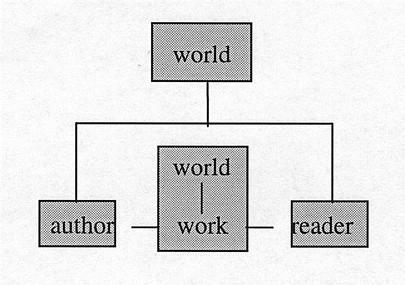 Intertextualists believe that the relations between texts (or authors) work in both directions. Not only can older works influence later ones but also later works are said to influence earlier ones. Thus, Jane Austen's Sense and Sensibility appears as a "pre-text" of Joan Aiken's Eliza's Daughter in the same way as I call Aiken's novel a "post-text" of Austen's novel. The problems involved become clearer if one uses non-metonymous language. A living author would then exert an influence on (the text of) a dead author. In other works, causal influences are equated with what is normally called "throwing new light on something". To equate the two presupposes that reality and the observation of reality, respectively the interpretation of reality, are one, that observation and interpretation create the thing observed or the event interpreted.23 In this Berkeleian view one can see Eliza's Daughter as the (primary) "text" vis-à-vis Sense and Sensibility, and the latter work then becomes the (secondary) "pre-text". This view may have the merit of directing our attention to aspects often neglected by common sense, but taken literally it is of course highly implausible. Our eyes certainly shape our view of the sun, construct our picture of the sun, but the sun is not therefore constructed by our vision in the way our eyes have been constructed by the presence of the sun over the years. That is why I persist in calling Sense and Sensibility the "original" and Eliza's Daughter a "post-text". Now post-structuralists argue that the world around us is a text because in appropriating it we construct it through language.24 If this is true, then the difference made above between sequels and originals would be null and void, the traditionally assumed difference being that a novel creates a world by referring to the world around it and that a sequel creates a world by referring to a novel (the original). But is it really useful to say that the world around us is a text just as the world of a novel is a text? The price post-structuralists have to pay in order to keep their initial excessive contentions free of internal contradictions is to resort to ever wilder assumptions. I say "excessive" because of course there is some truth in what they say. To take the world as a book, and perception as 'reading', reminds naïve realists that we do not see reality an und für sich. In fact, it is common knowledge since Kant that every answer one gets depends on the question one has asked. It is therefore indisputable that we cannot hear Schubert absolutely directly but only indirectly, through ears that have been exposed to later music - and other sounds - since our birth. But does that mean that it is absolutely impossible to hear him directly? If it is impossible to reduce one's subjectivity to zero, does that mean that it is impossible to reduce it at all? 'Traditional' science rests on the assumption that one can reduce one's subjectivity; therefore poststructuralists who believe that one cannot escape one's prejudices have to take one further step and equate science with all other types of problem-solving behaviour: play, myth, superstition. The price they have to pay for remaining consistent gets higher and higher. However, what is unacceptable for philosphers and theoreticians is of course permitted to artists, namely to be excessive, to try and heal the breach between being and thinking, if only symbolically, to take the metaphor for the literal, the symbol for the real. Indeed, that is the function of art in an ever more 'rationalized' world. The duty of a writer, then, who wants to do the impossible, namely to bridge logical levels, to fuse opposites into unity, is to find aesthetic equivalents for this project. Most sequel writers have not even tried, although highly successful models exist, John Fowles's The French Lieutenant's Woman, for instance. Admittedly, this novel is not a sequel in the strict sense of the word - a continuation of an individual work - but it is something very similar, namely a sequel to a whole tradition of novel writing, the realistic novel. Its plot is set in Victorian England (1867), but its narrator is a contemporary of John Fowles' (1967). As I argued above, the distance between the observed (well, seemingly observed) reality of 1867 and its observation in 1967 is a dilemma for the sequel as a sub-genre and is most sequel-writers' undoing. Fowles had the genius to turn the difficulty to his advantage: he made his narrator - in fact, his novel - aware of the discrepancies and tensions between object and subject and, thereby, bridged the gulf between them. Fowles's most conspicuous of the many technical devices to solve the problem of hybridity is the introduction of several endings to his novel, endings which represent and, at the same time, reflect the various traditions and our, the readers' expectations. The French Lieutenant's Woman is a novel with its own reception built in. What results in epigonality or hybridity in lesser artists, namely the problematic of the dichotomy of from and content, is here fused into one centaur. 1 Wolfgang G. Müller has proposed the term "derivative literature", but I remain unconvinced; see his essay "Derivative Literature: Notes on the Terminology of Intertextual Relationships and a British-American Case Study," in: Transatlantic Encounters (Festschrift Winfried Herget), edd. Udo J. Hebel & Karl Ortseifen (Trier: Wissenschaftlicher Verlag, 1995), pp. 312-321. 2 Other attempts at terminological differentiation - by Gérard Genette or Jürgen von Stackelberg, for instance - are listed and discussed by Helge Nowak, "Completeness is all": Fortsetzungen und andere Weiterführungen britischer Romane als Beispiel zeitübergreifender und interkultureller Rezeption (Frankfurt a. M. et al. : Lang), pp. 26 ff. and 405 ff. 3 If the imitation is presented with the intention to be taken as an original of the imitated author, we speak of a fake; if the imitation is presented with the intention to pass it off as the imitator's own work, we speak of plagiarism. 4 A short story in the form of a letter by Jane Austen to her niece Fanny Knight, telling her about the one great love of her life (the model of the relationship between Elizabeth Bennet and Mr Darcy in Pride and Prejudice). 5 For a brief discussion of such "rewrites", see Müller, "Derivative Literature", pp. 314 ff. 6 A list of "Shakespeare offshoots" would fill a whole volume. 7 A related special case in the area of film is the remake. 8 In this context, it is perhaps interesting to note that Jane Austen tried her own hand at the genre adaptation. "Sir Charles Grandison, or The Happy Man" is a satirical drama, adapted from Samuel Richardson's novel, dating from the early 1790s. 9 There are some borderline cases which I will not discuss but want to mention: abridgements, mainly of novels, for school use; readings on the radio of novels with two or three alternating voices and the like. 10 See Nowak, "Completeness is all", p. 23. 11 With exceptions, of course. A very nice example of the popularity that completions currently enjoy is the writing contest initiated by the highly respected German poet, Hilde Domin, in which children were asked to complete a story she had begun; see Frankfurter Allgemeine Zeitung of October 21, 1996, and December 16, 1996, p. 35. 12 (London et al. : Simon & Schuster, 1996). 13 (London: O'Mara Books, 1996). 14 (London: Gollancz, 1st ed. 1994). 15 "Julia Barrett" is a pseudonym for Julia Braun Kessler and Gabriella Donnelly. 16 There are some problems of chronology. If Margaret is 17 in 1814, 1809 - when she was 12 - would have to be the year when things started in Sense and Sensiblity. In this case Elinor and Edward Ferrars would have married in 1811 and Marianne and Colonel Brandon in 1813. Jane Austen's novel, however, where these events are described as having happened in the past, appeared in 1811. Next, Colonel Brandon's age is a problem; according to the chronology presented here, he was 12 when he had his affair with Eliza Williams's mother! 17 From "Der achtzehnte Brumaire des Louis Bonaparte". The phrase coined by Marx is itself appropriated from G. W. F. Hegel. 18 This supposes the action of Sense and Sensibility to have taken place between 1792 and 1795, probably because Jane Austen finished the first draft of her novel in 1795. 19 For a recent critical appraisal, see Rachel R. Mather, The Heirs of Jane Austen: Twentieth-Century Writers of the Comedy of Manners (New York et al. : Peter Lang, 1996). 20 The term world (or context) here refers to everything that is in any way mirrored or represented in the text: historical events and persons, geography, the structure of society, genre conventions and all presuppositions, so to speak, on which an utterance is based. 21 See his much-quoted statements in the "Three Dialogues" (with Georges Duthuit), repr. in Proust/Three Dialogues (London: Calder, 1965), pp. 103 and 125. There are interviews, too, that point in the same direction. 22 In his Biographia Literaria, chapter XIV. 23 To my mind, the first to have argued in this way is Jorge Luis Borges, in his essay "Kafka y sus precursores" (1952). 24 To have 'realized' this in his trilogy of novels is the reason for Beckett's pre-eminence among postmodernists. However, remember his sense of failure.